 URA – Tecnologias de Viagens, Unipessoal Lda (“UrActive”) provides this website subject to the following terms and conditions of use (these “Terms”). These Terms explain a contractual agreement between you and UrActive regarding your use of this website. You should retain a copy of these Terms for your records. Please note, however, that we may update and amend these Terms from time to time. The goal of this website is to provide you with access to information about our services, products, and related subject matter (the “Content”). The Terms apply to all visitors to this website, and your access to and use of this website signifies your agreement with these Terms. DO NOT USE THIS WEBSITE IF YOU DO NOT AGREE WITH THESE TERMS. We reserve the right, in our sole discretion, to modify or update these Terms at any time. Such modifications and updates shall be effective immediately upon posting. You agree to be bound by such modified and updated Terms if you access or use this website after we have posted notice of such modifications or updates. We control and operate this website. All Content on this website, including text, photographs, images, illustrations, audio clips, and video clips, is protected by copyrights, trademarks, service marks, and/or other intellectual property rights. The Content is owned and controlled by us or our affiliates, or by third-party content providers, merchants, sponsors, and licensors (collectively the “Providers”) that have licensed their content or the right to market their products and/or services to us. Trademarks, copyrights or other third-party intellectual property referred to on this website are the property of their respective owners, and use on this website thereof does not constitute or imply endorsement. Content on this website is solely for your personal, non-commercial use. You agree to abide by all additional copyright notices, information, or restrictions contained in any Content. You may download a single copy of any Content contained on this website, solely for your personal, non-commercial use, consistent with these Terms, provided that you maintain all copyright and other notices contained in such Content. Violation of trademark, copyright, and other intellectual property laws may result in significant civil liability or criminal penalties under applicable law. You recognize that any reproduction or use of Content, except as authorized by these Terms, is considered intentional infringement. You are solely responsible for your Information, and in some cases, we act as a passive conduit for your online distribution and publication of your Information. As used in these Terms, “Information” means any information or data that you submit to this website and any information or data that is generated by this website as a result of your use of this website. In the event that you are provided with user identification numbers or codes (collectively, “IDs”), confirmation numbers, and/or passwords (as applicable) in the use of this website, you shall maintain such user IDs, confirmation numbers, and/or passwords in confidence and you agree not to distribute or disclose the same to third parties. It is your responsibility to notify us if we need to change or discontinue any of your IDs, confirmation numbers, or passwords. It is also your responsibility to immediately request discontinuation of an ID, confirmation number, or password upon your knowledge or belief that such ID, confirmation number, and/or password is, or may be subject to, a breach of confidentiality. We may suspend or terminate your service or access to this website if we believe a breach of these Terms has occurred. You are specifically prohibited from any use of this website, and you agree not to use or permit others to use this website, for any of the following: (a) taking any action that imposes an unreasonable or disproportionately large load on the website’s infrastructure, including “spam” or other such unsolicited mass e-mailing techniques; (b) disclosing to, or sharing with, the assigned confirmation numbers and/or passwords with any unauthorized third parties or using the assigned confirmation numbers and/or passwords for any unauthorized purpose; (c) attempting to decipher, decompile, disassemble, or reverse engineer any of the software or HTML code comprising or in any way making up a part of this website; (d) uploading, posting, emailing, or otherwise transmitting any Information, Content, or proprietary rights that you do not have a right to transmit; (e) violating any applicable law; and, (f) using any robot, spider, intelligent agent, other automatic device, or manual process to search, monitor or copy our Web pages, or the Content without our prior written permission, provided that generally available third party Web browsers such as Microsoft Internet Explorer may be used without such permission. ALL CONTENT AND SERVICES ON THIS WEBSITE ARE PROVIDED “AS IS” AND WITHOUT WARRANTIES OF ANY KIND EITHER EXPRESS OR IMPLIED. OTHER THAN THOSE WARRANTIES WHICH, UNDER THE U.S. LAWS APPLICABLE TO THESE TERMS, ARE IMPLIED BY LAW AND ARE INCAPABLE OF EXCLUSION, RESTRICTION, OR MODIFICATION, WE DISCLAIM ANY AND ALL WARRANTIES, EXPRESS OR IMPLIED, INCLUDING IMPLIED WARRANTIES OF MERCHANTABILITY AND FITNESS FOR A PARTICULAR PURPOSE. 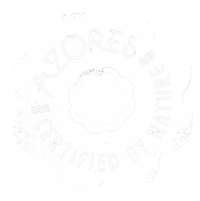 We operate this website (excluding Linked Sites) from our offices within the Azores, Portugal. You agree that these Terms and your use of the website shall be governed in all respect by the internal substantive laws of the Lisbon, without regard to conflict-of-laws provisions and shall not be governed by the United Nations Convention on the International Sale of Goods. You further submit to exclusive jurisdiction and venue in the state and federal courts located in the Lisbon for all disputes, cases and controversies regarding this website, your use of this website, and your relationship with us. We make no representation that materials on this website are appropriate or available for use in other locations, and accessing them from territories where the Content is illegal is prohibited. Those who choose to access this website from other locations do so at their own risk and are responsible for compliance with local laws, including laws regarding the transmission of technical data exported from Portugal or the country in which you reside. We reserve the right to report any wrongdoing, if and when we become aware of it, to any applicable government agencies. You agree to indemnify, defend and hold us and the Providers, our and their officers, directors, employees, affiliates, agents, licensors, and suppliers (including Providers) harmless from and against any and all claims, demands, actions, costs, liabilities, losses and damages of any kind (including attorneys’ fees) resulting from your use of this website, your breach of any provision of these Terms and/or any negligent acts, omissions or intentional wrongdoing by you. Any such indemnification shall be conditioned on our: (a) notifying you in writing of any such claim, demand, action, cost, liability, loss or threat of any thereof; (b) cooperating with you in the defense or settlement thereof; and (c) allowing you to control such defense or settlement. We shall be entitled to participate in such defense at our own cost and expense. In the event that we provide message boards or discussion forums on this website (the “News”), you agree to use the Forums only in a noncommercial manner. You shall not, without our express approval, distribute or otherwise publish any material containing any solicitation of funds, advertising, or written solicitation for goods and services. You agree that any uploaded materials may be republished without compensation to you or any other person or entity. In addition, you waive moral rights in any uploaded materials. We review the content of messages proposed for the Forums. Although we are not responsible for these messages, we reserve the right (but not the obligation) to delete, move, reject or edit messages that we, in our sole discretion, deem abusive, defamatory, obscene, in violation of copyright or trademark laws, or otherwise unacceptable. We do not endorse any Information posted on this website. You agree that you must evaluate, and bear all risks and liability associated with, the use of any messages, Information, or Content, including any reliance on the accuracy, completeness, or usefulness of such messages, Information, or Content. In this regard, you acknowledge that the website is provided “AS IS,” with all faults, and that your use of the website, any Content we create or information submitted to us by third parties, including information in the Forums, and in all other parts of this website, is at your sole risk and liability. You and we are dealing at arms’ length, creating a commercial relationship. We are not your agent or your fiduciary.